The Process Compliance Checklist provides a brief description on how to manage and monitor process compliance and also outlines key roles and responsibilities of people involved in carrying out compliance procedures. 1. Process Compliance: Key Roles and Responsibilities. Develop a single process compliance framework for managing and monitoring project compliance procedures. Manage specialists and coordinate analysts. Approve process compliance documents and guides necessary for managing compliance. Conduct analysis and investigations of process compliance issues and exceptions and define reasons for process non-compliance. Provide suggestions and recommendations on process improvements to compliance managers for approval. 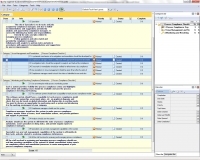 Generate regular process compliance reports and submit them to senior management. Directly do tasks and jobs related to managing process compliance. Follow guidance and rules stated and provided by compliance managers. Collaborate with analysts to perform tasks and jobs in accordance with approved recommendations and suggestions for process improvements. 2. Issue Management and Remediation. A systematic mechanism of investigation and remediation should be developed for handling identified issues or exceptions that create a risk of process non-compliance. Compliance managers need to collaborate with appropriate personnel and make task assignments for 1) investigation and 2) remedial actions (remediation). 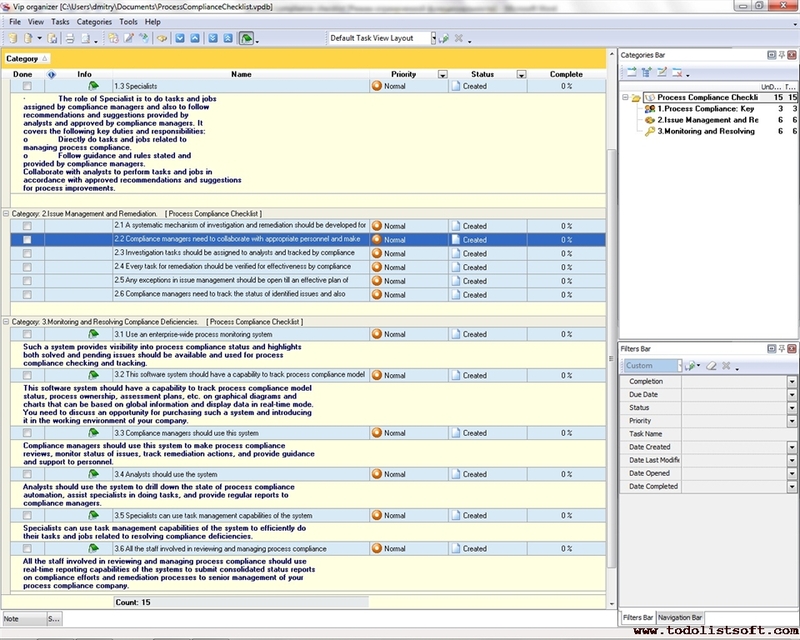 Investigation tasks should be assigned to analysts and tracked by compliance managers. Every task for remediation should be verified for effectiveness by compliance managers and then assigned to specialists for accomplishment. Any exceptions in issue management should be open till an effective plan of remedial actions is developed and ready for implementation by appropriate staff. Compliance managers need to track the status of identified issues and also provide process compliance control to unsolved issues and postponed exceptions. 3. Monitoring and Resolving Compliance Deficiencies. An enterprise-wide process monitoring system that provides visibility into process compliance status and highlights both solved and pending issues should be available and used for process compliance checking and tracking.